All throughout training camp you could hear coach Patrick Roy and his players both preaching the importance of a strong start to the season. 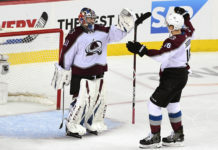 Facing a familiar foe in the Minnesota Wild, the Avalanche were determined to put last season behind them and start the year off with a statement win. 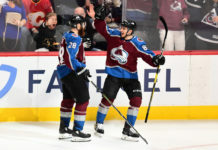 The statement was that this is a new team with a fresh start, and that the Avalanche were not going to be pushed around and beat in most statistical categories. Coming out of the gate, the Avs were making that statement very clearly. Winning in shots on goal, hits, faceoffs, there was every reason to believe that this team had definitely turned a corner. The Avalanche scored three goals in the first period and two came off of the power play, which was an anemic 29th in the league last year. It seemed like a redemption game for the ages. The second period still carried hope. 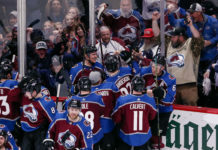 Avalanche fans and players continued to be emotionally committed throughout; however, it seemed as though Minnesota was gaining traction, winning in a majority of the statistical categories by the end of the period. There was not much worry in the air at the time because the Avalanche were still up 4-1. Losing this lead would be an epic collapse, and this was a new team. This team, supposedly, is better than last year, and they have turned the page since never being able to hold a lead … right? By the start of the third period, the hope and energy in the building turned to nervousness. The score continued at 4-1, but the momentum had obviously shifted. Around the building you began to hear rumblings of uncertainty. 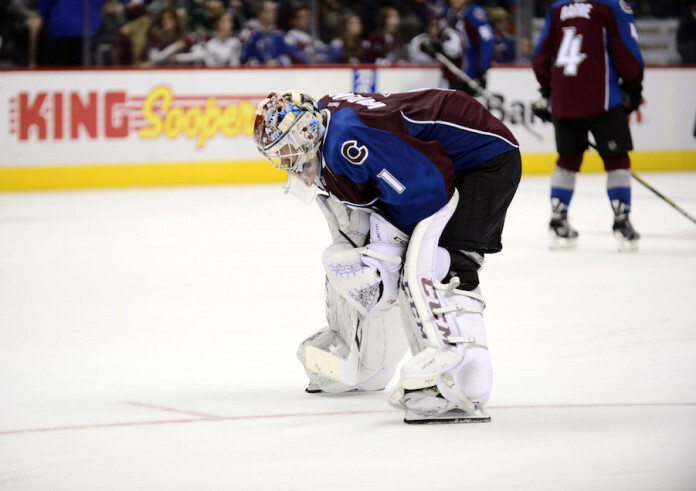 Through poor defensive decision-making the Avalanche gave up the lead and lost the game 5-4. The collapse that Avs fans feared did indeed come, and the team Avs fans expected to be better seemed worse. They began the game looking like the team we expected and finished looking like a team that has digressed. It is too early for panic, being that one game is not an adequate sample size. We still have a couple of weeks until we really get an idea of what this team will be. There is encouragement if you look at things like the power play, blocked shots and their ability to generate chances and goals. At the same time there are several issues at hand that are concerning. The body of work, as a whole, answered some questions, but soon after, raised some new ones.